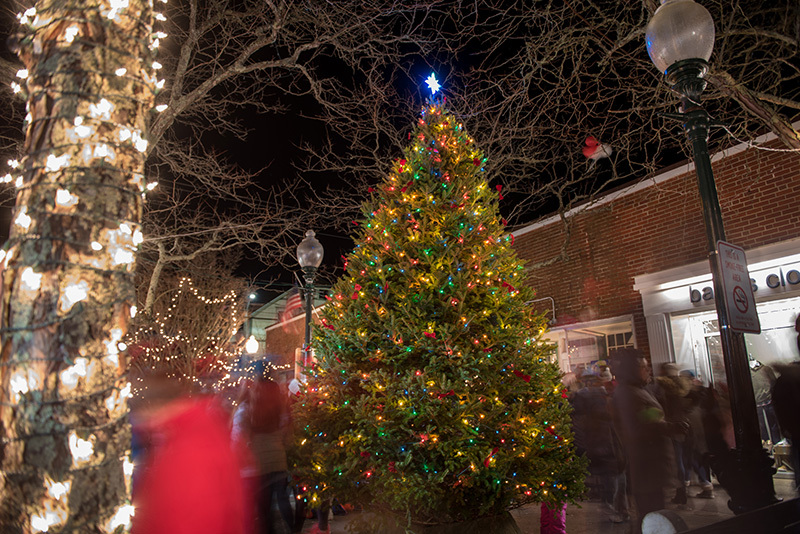 Islanders crowd Post Office Square for the annual Lighting of the Tree in Oak Bluffs. 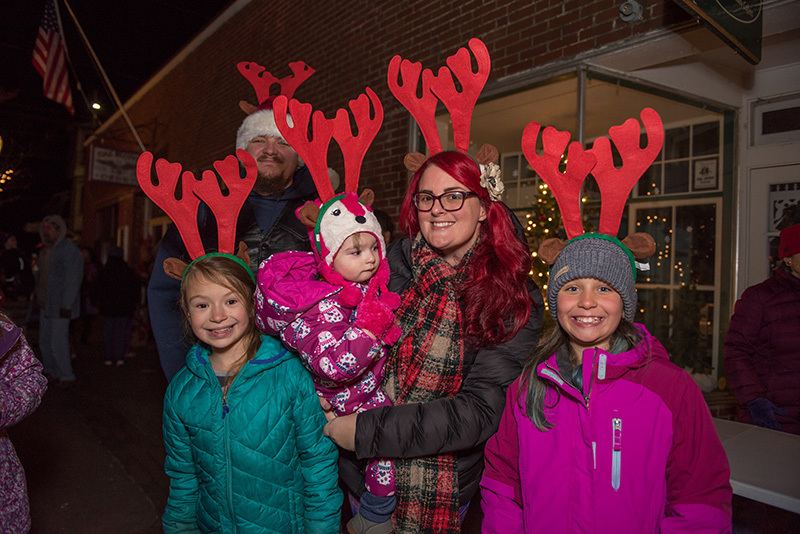 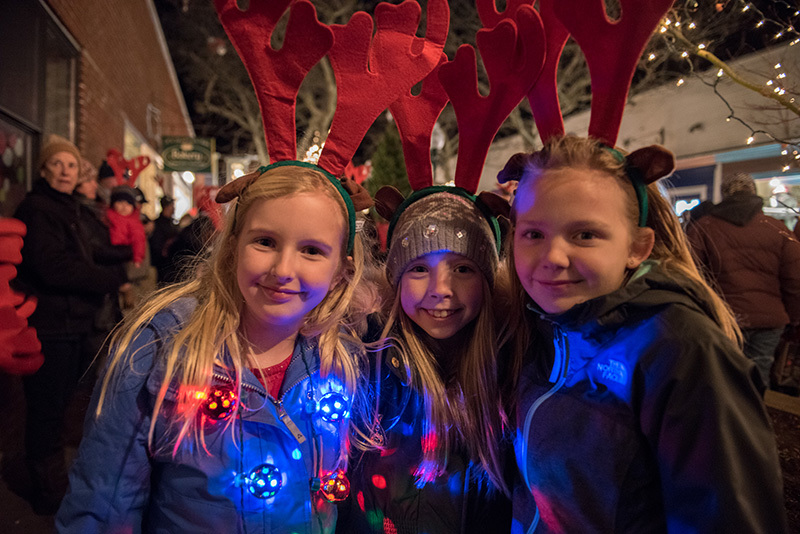 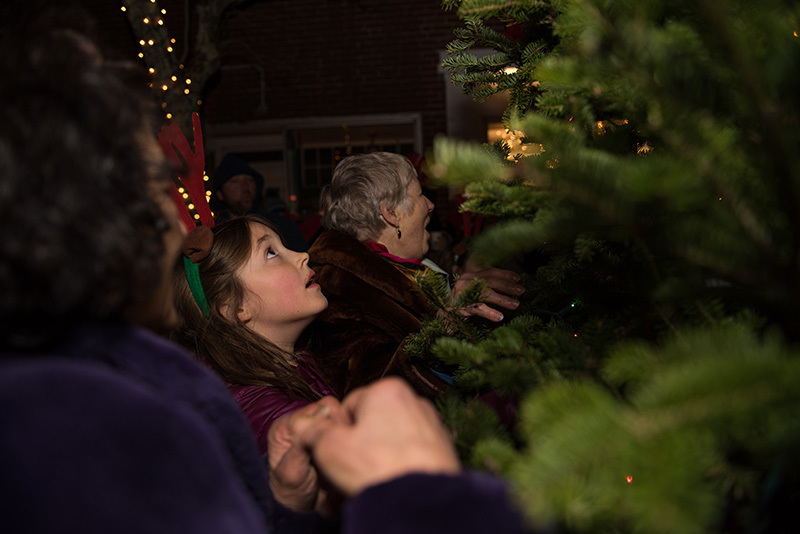 The lights were bright and the mood was merry at the Lighting of the Tree in Oak Bluffs at Post Office Square. 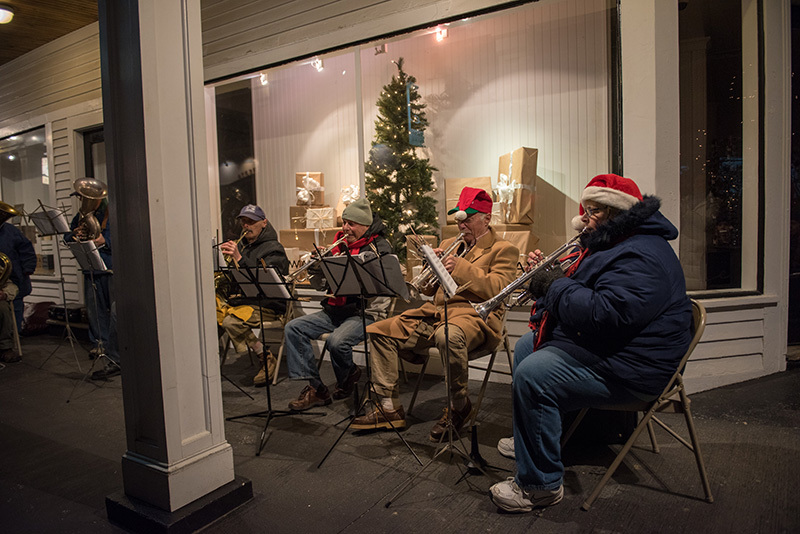 A wave of people and families were welcomed to the small town square by music from the Vineyard Classic Brass band who played all the familiar Christmas hits leading up to the lighting. 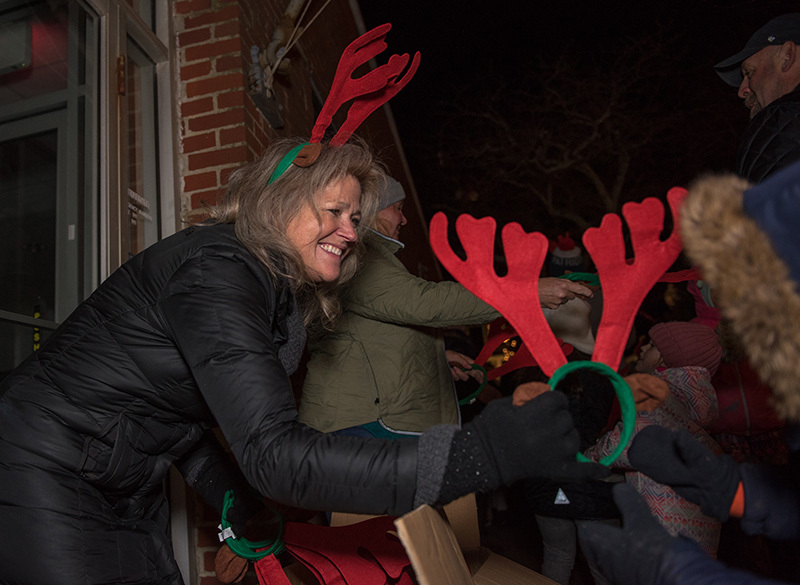 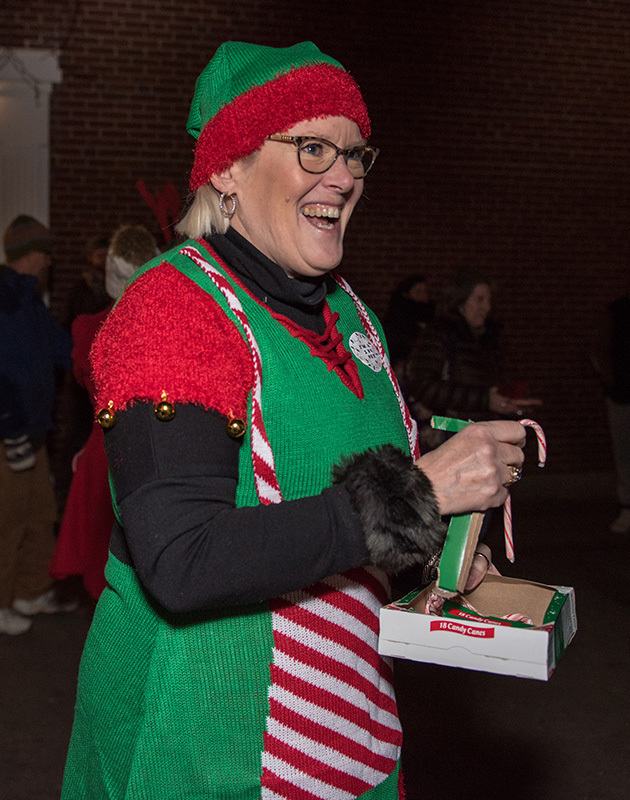 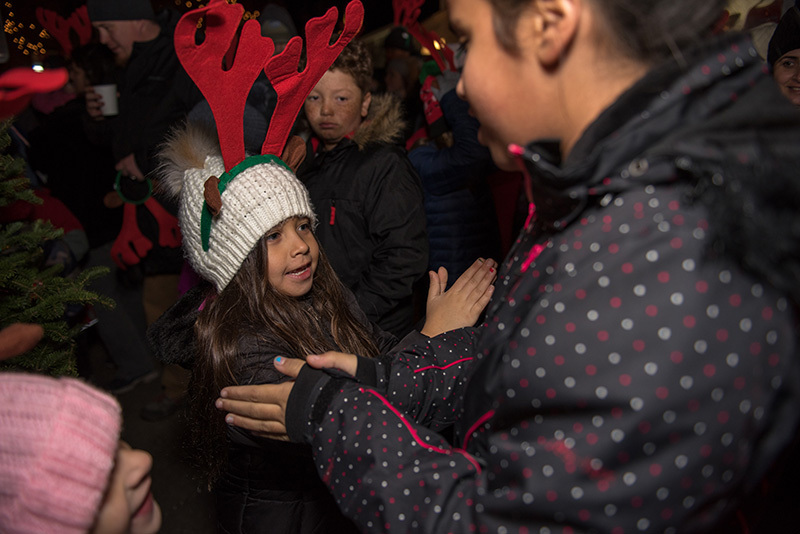 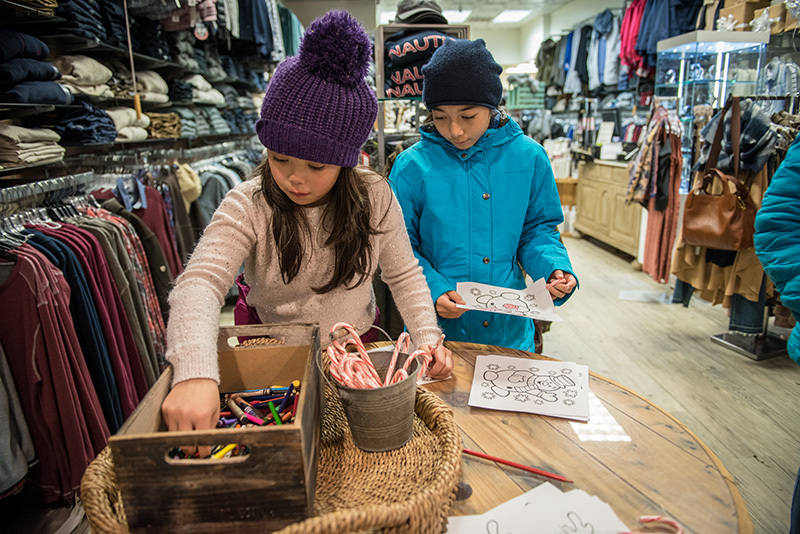 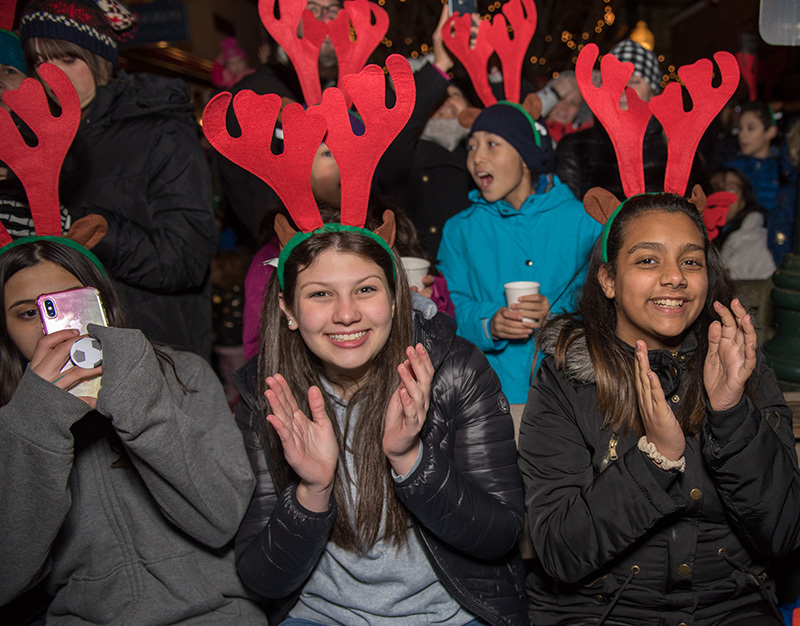 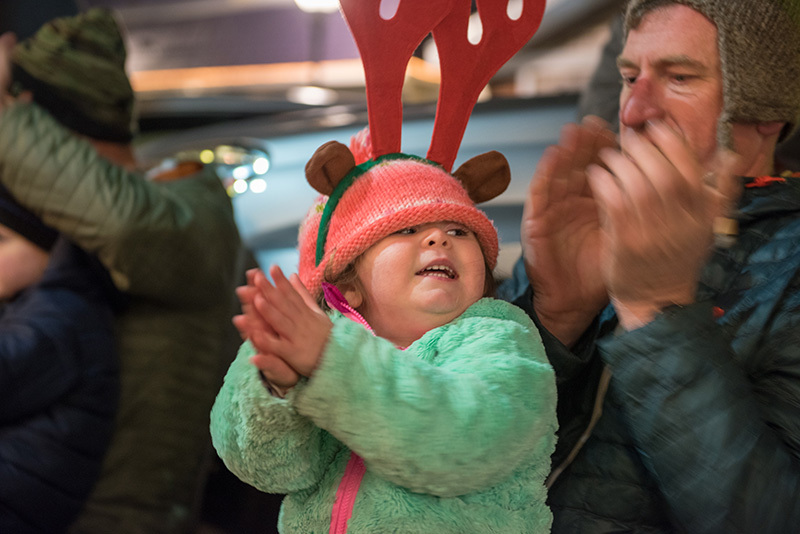 Volunteers handed out hot chocolate and Basics Clothing Company opened its doors to people looking to escape the cold, offering free candy canes for the children, many of whom were running around wearing reindeer antlers. 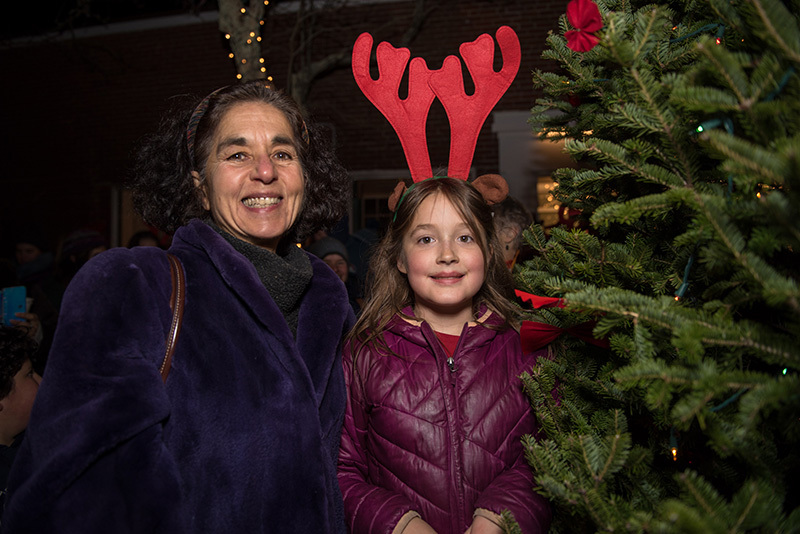 Selectmen chair Gail Barmakian arrived with Santa Claus and plugged in the tree with the help of Audrey Atkins, 9, winner of the art poster competition, to signify the beginning of the Island holiday season.